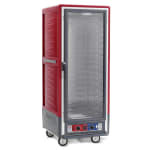 The Metro C539-CFC-4 heated holding and proofing cabinet has a full-length door that is clear so staff can keep an eye of food without causing the cabinet to lose heat. The door is built with an extruded aluminum powder-coated frame with a polycarbonate window. Gaskets that keep heat inside the cabinet are mounted on the door and made with Santoprene. Double-hinged, field-reversible hinges have a 180 degree swing with long-life nylon bearings. To ensure heat stays in the cabinet, the door is kept closed with a high-strength magnetic pull latch with a lever-action release. This cabinet will hold hot food at a safe temperature. 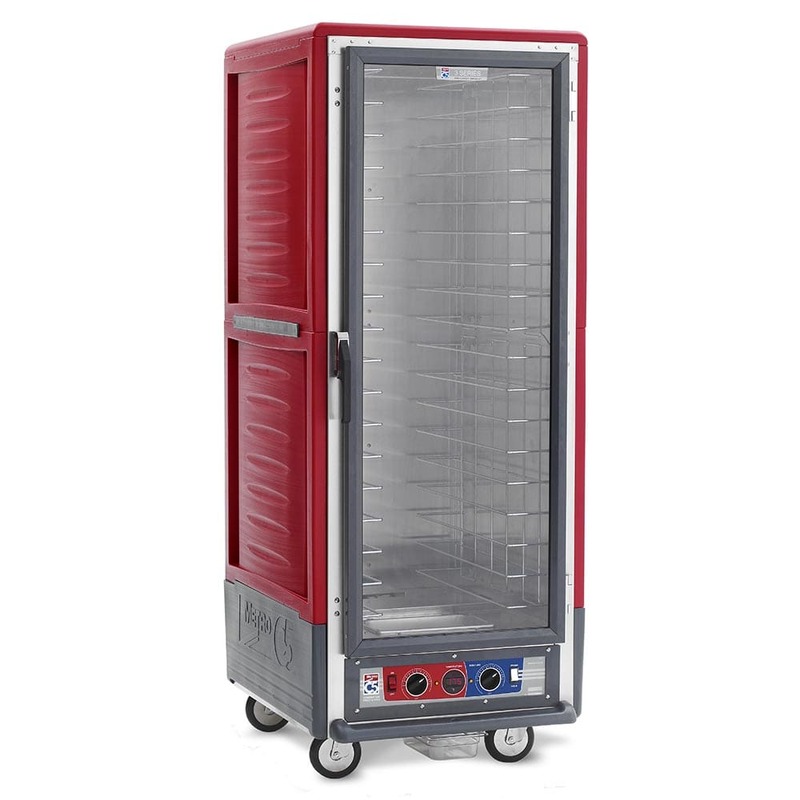 When the cabinet is in its lower-temperature proofing mode, users can control the humidity level of the cabinet. To retain heat, the cabinet is built with Insulation Armour™, a patented insulation technology that retains heat inside the cabinet while keeping the exterior cool-to-the touch. This durable polymer insulation resists dents and stains and saves energy. Molded-in hand holds make moving the cabinet much easier. Fixed wire slides are used to hold pans inside the cabinet. 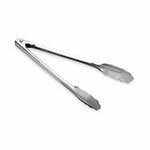 These slides are 1⁄4 of an inch in diameter and are made from nickel chrome electroplated wire. 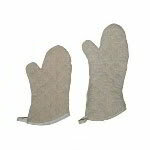 The slides are welded on 3 inch spacings and can hold 18 standard sized pans and 34 GN 1/1 pans. The Metro C539-CFC-4 heated holding and proofing cabinet is just what you need to keep your food hot without drying it out. Slides have a 1⁄4 in. dia. 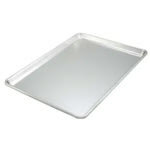 Slides hold 18 standard size pans measuring 18 in. x 26 in. Slides hold 34 pans measuring 12 in. x 20 in. x 21⁄2 in. "We use this warming oven in the Church Fellowship Hall for church dinners. It is marvelous! People can bring their food warm or cold... and it..."
I would recommend this product for any church kitchen! "We use this warming oven in the Church Fellowship Hall for church dinners. It is marvelous! People can bring their food warm or cold... and it will warm it up in a couple of hours and be ready to eat. There is plenty of room for everything. Thank you!"